Been playing characters more I haven’t maxed yet, one of which is Kylo. Just a tip for something I didnt really understand, so i thought I’d share. Kudos to those that figured this out way earlier. The Frenzy mechanic is a “Lock-on” mechanic that targets the closest enemy. Not a “Targeting” mechanic that attacks the target you’re aiming at. 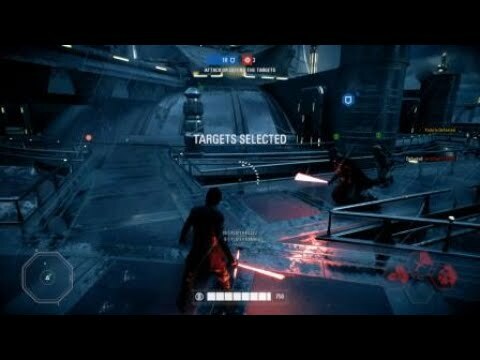 So if you Freeze some enemies, like in HvV for example, or run into a congested area and have a High Value Target or Primary Target you want to attack make sure you position yourself to be closest to the desired enemy to be hit. This really works regardless if the enemy is “Behind” you or “In front” of you. Not 100% verified, I still think they have to be on your screen, but he does attack targets that are viewed on screen and are somewhat behind your character model. I use frenzy as an extra dash at times to cover ground and found out you can hit people behind you by doing that so yes it seems to hit whoever is close to you and they can be behind you as well and get hit.